Introduction: At the recent ICAST 2004 show Daiwa unveiled a range of new baitcasting reels, all of which utilize the latest designs and innovations. 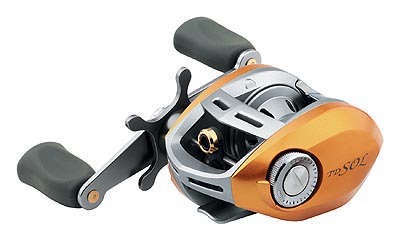 These exciting reels sport new profiles, materials, backlash systems, and super tuning. Daiwa fans, especially bass anglers are going to be smiling this season, as these reels intend to deliver brilliant refinement and ergonomics for the baitcast aficionado. Team Daiwa "Advantage" Baitcasting: Anglers, get ready for five professional grade reels that are members of Daiwa's new "Advantage" series. (2 Right retrieve, 2 Left retrieve, and 1 lower gear ratio cranking model) This new series of reels was created to deliver Daiwa's latest advances to make casting easier and more comfortable. 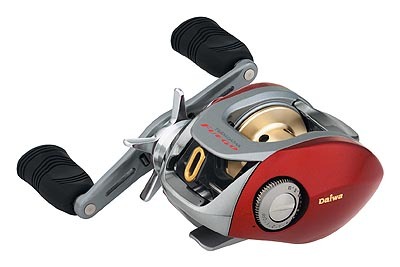 While this reel looks like a million bucks we were told that they were designed to be quite affordable as well, and range in price from $99.95 to $139.95. A key feature that will be available on the new Advantage reels is Magforce-Z, a brand new magnetic anti-backlash system that is designed to outperform ordinary centrifugal brake systems, while still offering exceptional line capacity. 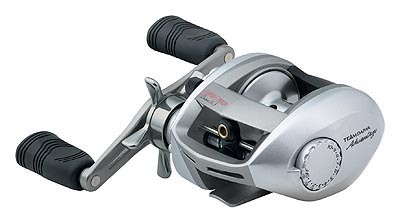 Like many of Daiwa's offerings the Advantage will come in standard or high-performance "Super Tuned" versions. These reels were planned with a unique low profile for exceptional palming comfort. We have learned that the Advantage is a full 6 millimeters lower than similar competitor reels. All of the reels feature Daiwa's free-floating spool design, that separates the gear train completely from the spool on outcast. Super-Tuned models will feature a perforated aircraft aluminum spool, but all reels will utilize machined bronze gearing, a rigid once piece aluminum frame, and massive seven disc wet drag system with exclusive fiber composite washers. The weight of these reels will vary from 8.5oz for the standard versions to 8.6oz for the supertuned models. Standard advantage reels come with 5BB and 1 RB, while the supertuned models will come with 8BB and 1 RB. Team Daiwa "SOL" Baitcasting: Sporting a similar profile to the Advantage reels the new TD SoL (pronounced "sole") was named after the Spanish word for "sun." This aptly named reel is painted "Sunrise-Gold" and is designed to stand apart from the competition. The reel is all aluminum and features Magforce V anti-backlash control, and a ultra light perforated spool on a floating ball bearing system. This reel is designed for the ultimate feel and is intended for the finesse angler fishing any line less than 10lb test, and can cast the lightest baits with ease. Palming is easy with a low profile design, and precision machined bronze gearing and a superalloy pinion helps buckle down even the biggest fish. The SOL is lighter than Advantage reels and weighs in at 7.4oz, is loaded with 7 bearings, and has a 5.8:1 gear ratio that is ideal for a wide range of finesse applications. The SOL is a beautiful collectors piece, and bears a MSRP of $229.95. Team Daiwa "Fuego" Baitcasting: Fuego stands for "fire" in Spanish, and this unique red reel bears a similar profile to the premium Daiwa TD-Z. The Fuego is designed to bring the advantages of lightweight magnesium to a more affordable price range. The reel features a rigid magnesium frame and sideplate. The reel weighs in at a light 7.4oz, but still is able to utilize Daiwa's new Magforce-Z backlash control. The free-floating perforated spool starts faster and climbs to higher speeds with virtually no drag from the new Z system. Like the other new Daiwa reels the Fuego makes use of the new seven disc drag with fiber composite washers for smoother fish control. The reel will be available in left or right hand retrieve, and both come with 6BB and 1 RB, and a fast 6.3:1 gear ratio. MSRP for the Fuego is identical to the SOL at $229.95. Conclusion: Daiwa has always been a leader in baitcast design, and the new 2005 reels do not disappoint. The Advantage reels were created to deliver premium features and performance to anglers at or close to the 99 dollar price point. This should make for a very exciting skirmish with the popular Shimano Curado. Its also great to see Daiwa continuing to refine their lineup with application specific products. The TD SOL will make light line anglers exultant, as the ability to toss the smallest lures will allow for new light line finesse applications with baitcast rigs. The TD Fuego brings an already popular shape and magnesium construction down to a price level where more anglers can take advantage of such a offering. All in all Daiwa continues to bolster an already robust lineup of baitcasters with reels boasting increased refinement, improved ergonomics, available in inspiring new profiles and colors. While these new reels certainly appear impressive on paper, we can't wait to field test and shootout these exciting products. Lets just say that if they perform as good as they look then I'll have a good reason to dip into my personal tackle fund...again.